MFEA, the Michigan Festivals and Events Association shares the calendar of festivals around Michigan for April 2019. 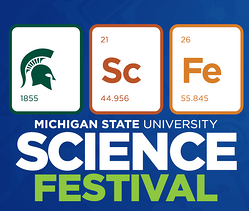 The MSU Science Festival is an amazing, multi-day series of events highlighting the numerous and fascinating fields of science. The Festival features talks, demonstrations, open houses, guest speakers, hands-on activities, and much more! Explore cutting edge science; discover concepts that have influenced discoveries for centuries; exchange ideas with researchers; and participate in hands-on experiments that turn ideas into reality! You really have to see it to believe it! 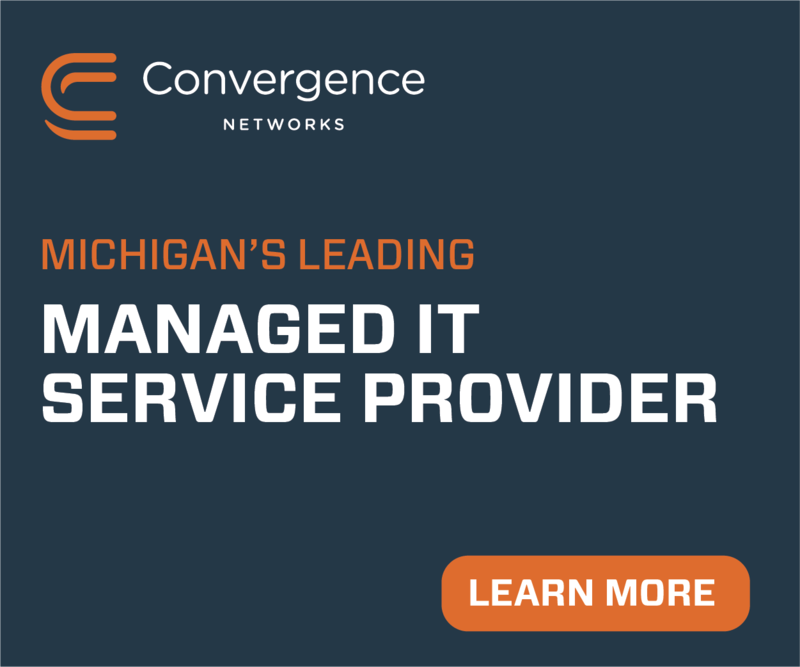 Events held in E. Lansing and locations statewide. The annual Spring Great Lakes Art Fair at the Suburban Collection Showplace offers patrons a wonderful opportunity to experiene the region’s finest artists and craftspeople in a single, upscale, easily accessible indoor location. The spring GLAF will take place April 6th-7th, 2019 inside the sprawling “weather-free” Suburban Collection Showplace, 46100 Grand River Ave. in Novi. The Spring Great Lakes Art Fair combines exclusive and desirable works from local, regional and national artists and craftspeople with a charming village marketplace setting, seasonal motif and on site café with delicious light fare. 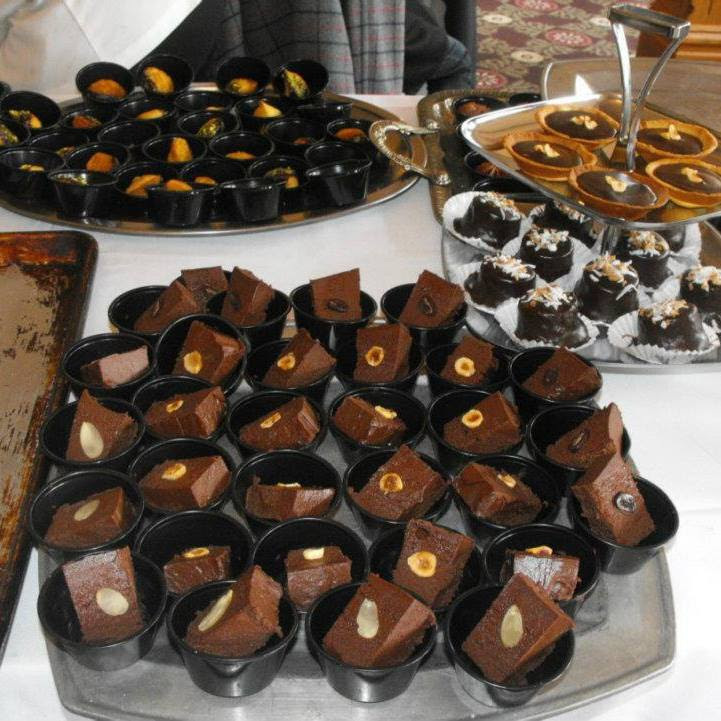 Traverse City Chocolate Festival, Michigan’s largest chocolate event, is celebrating its 10th anniversary in 2019. Chocolatiers from around the state and the region will offer tastes and conversation about their product. Live music, shopping, door prizes, demonstrations, and a celebration of the history of Michigan’s chocolate — all great reasons to join in at the new venue, The Park Place. 2019’s event marks a lot of changes to enhance your chocolate experience. And still promoting support for the Northwest Food Coalition and feeding the hungry in our communities. 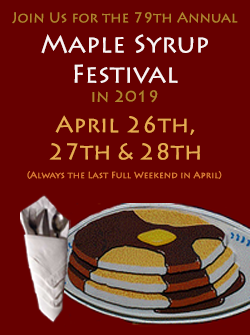 Planning for the 61st Shepherd Maple Syrup Festival has already begun. 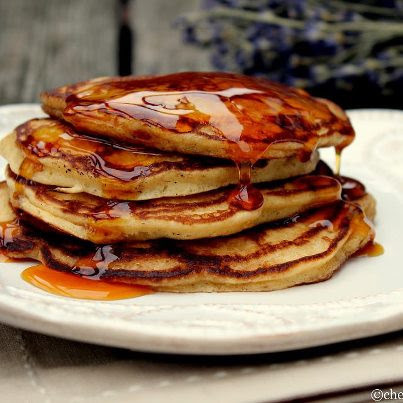 We offer delicious pancake, sausage, and maple syrup meals, arts & craft shows, parades, a classic car display, amusement rides, bingo, variety show, band concert, senior citizen dance, tractor pulls, flea market, and three museums. 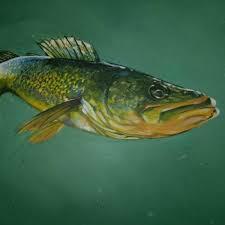 Parade – Fireworks – Gambling – Beverage Tent — Band at 8:00 p.m.
Walleye Fishing Tournament Begins 12:01 am – Community wide rummage sale – Kids fishing pond – Blood Drive – Car Show — Poker Tournament and Beer Pong Tournament at noon — Beverage Tent Band at 7:00 p.m.
Earth Fair is Michigan’s largest and liveliest two-day Earth Day celebration! By blending together demonstrations, workshops, exhibits, artisans and activities Earth Fair creates an environment that’s fun for thousands of visitors every year. We’re inspiring and challenging visitors to find alternatives to energy, transportation, food and homes so we may create a better earth and healthier lives. Plan on starting early for a fun-filled day at Earth Fair! Activities, parking and admission are free. 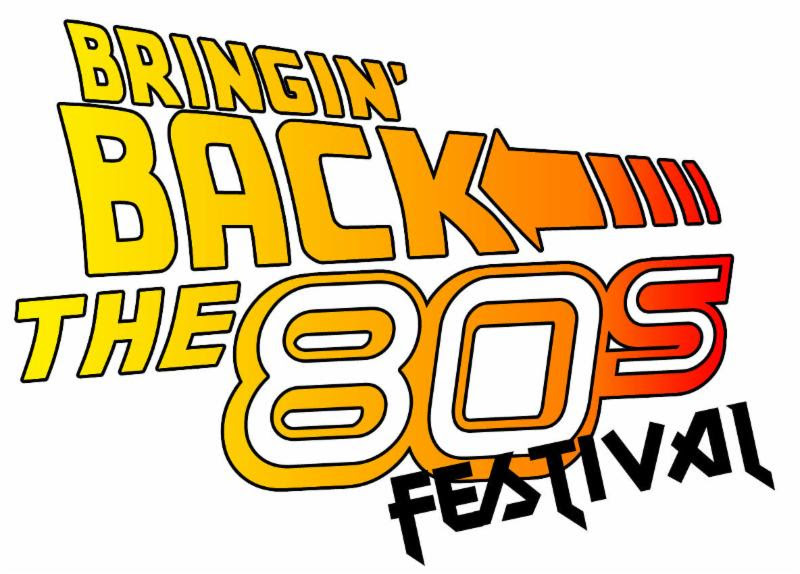 Bring back totally awesome memories by celebrating the music, trends and events of the 1980’s. Peg your stonewashed jeans, tease your hair, and grab your friends… This is your chance to relive the 1980’s! Outrageous Live Cover Bands, Best Dressed Contest, a huge display of 80’s Memorabilia and Video Games, Breakdancing Show and much more.